Electoral Area C is known as the South Shuswap and includes unincorporated communities of Sunnybrae, Tappen, White Lake, Blind Bay, Sorrento, Eagle Bay and Notch Hill. The area offers a wide range of recreational activities including boating, fishing and swimming in Shuswap Lake and hiking on its numerous trails. 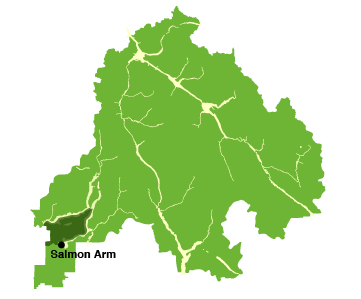 The area is located along the Trans Canada Highway west of Salmon Arm and east of Kamloops. The area includes large residential areas as well as rich farmland (both specialty hobby and traditional farms).